Microsoft is shutting down its MSN portal in China from June 7, as pressure appears to be building up on content services from foreign companies in a country that already bans access to Facebook and Twitter. The Redmond, Washington-based software giant, however, continues to be committed to the Chinese market, offering a range of products including Windows 10, cloud services, and hosting the largest research and development center outside of the U.S, it said in a statement released to news outlets. 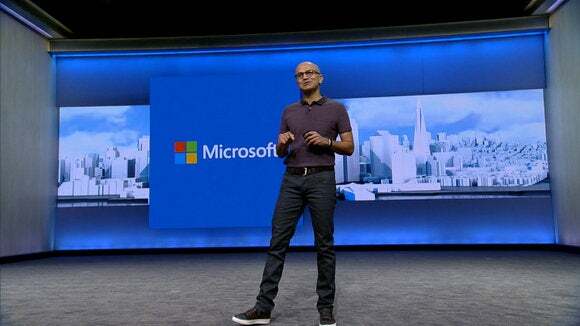 Microsoft did not give a reason for shutting down the news and lifestyle portal. A Chinese regulator ordered Apple to shut down its iBooks Store and iTunes Movies barely six months after the services were launched in the country. The company has promised to get the services back online soon. China is Apple’s second largest market by revenue. U.S. tech companies have been under pressure to comply with Chinese Internet regulations and censorship. The Microsoft site has also lost ground to local players like Sina, which operates a Twitter-like social network called Sina Weibo, and Sohu, which runs the Chinese search engine Sogou.com, according to the Nikkei Asian Review. The company has meanwhile been expanding in the Chinese market through a number of tie-ups with local companies. It announced an agreement last year with its Beijing cloud partner 21Vianet, and IT company Unisplendour to provide custom hybrid cloud solutions and services to Chinese customers, with a focus on state-owned enterprises. Microsoft also tied with state-owned China Electronics Technology Group to support the configuration, deployment and maintenance of localized Windows 10 for Chinese users in government institutions and critical infrastructure state-owned enterprises, and announced that Chinese search engine Baidu.com would become the default search and homepage for Chinese users of the Microsoft Edge browser in the Windows 10 operating system. The company has also fallen foul of local authorities in some cases. China's State Administration for Industry and Commerce indicated earlier this year that a 2014 antitrust probe into the company continues.